Domestic Life Insurance policies will not cover or pay your workers if overseas on extended assignment or living overseas. 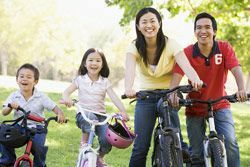 These international life insurance policies are meant to protect overseas workers while on assignment or living and working overseas with their family. They will also cover temporarily assigned overseas staff for as little as one month. Please use one of the term life quote request, shown on each international term life insurance web page, and Good Neighbor Insurance will provide you with both (two) international term life insurance quotes.